Here we are forming up for concrete walls to allow for a future flagstone patio. 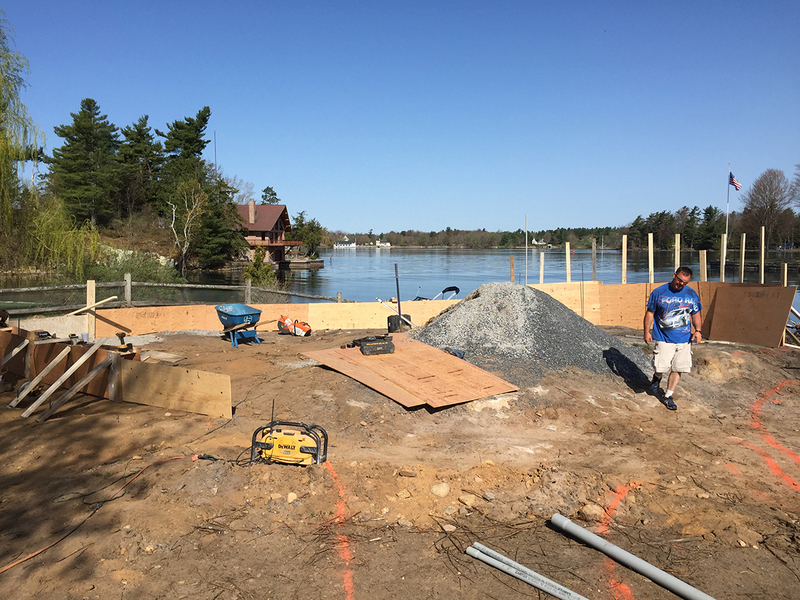 The patio is located on a rock ledge, so all the concrete had to be drilled and pinned to bedrock. 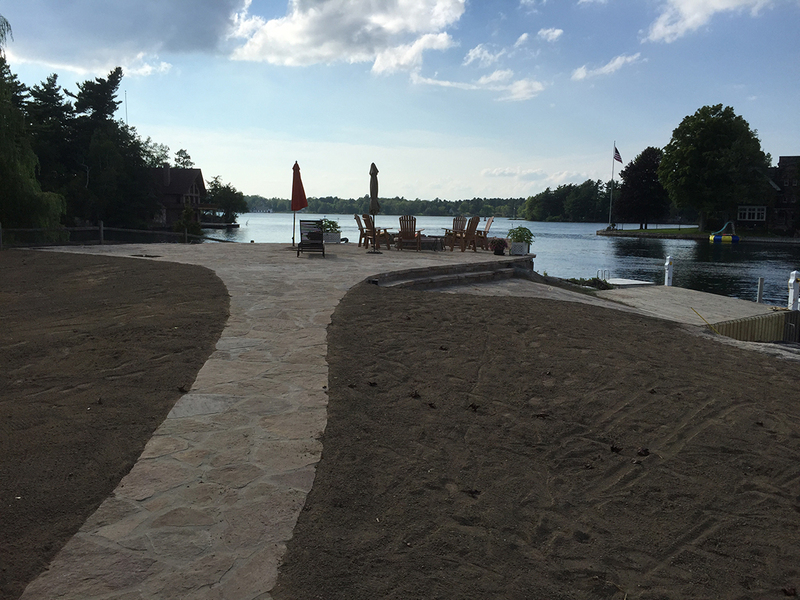 With the walls poured and pinned to bedrock, the patio and walkways are getting prepped with crushed stone and tamped. 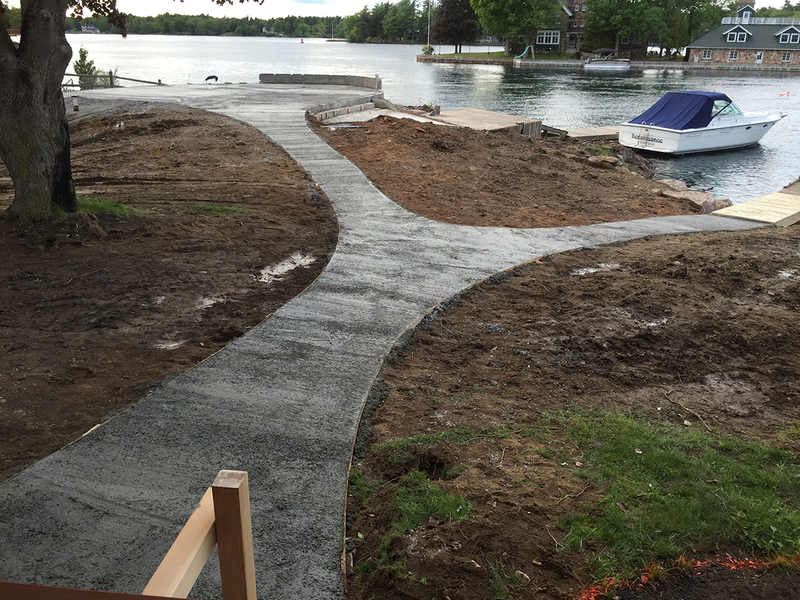 With the crushed stone compacted and the patio and walls formed up, it was time for concrete. 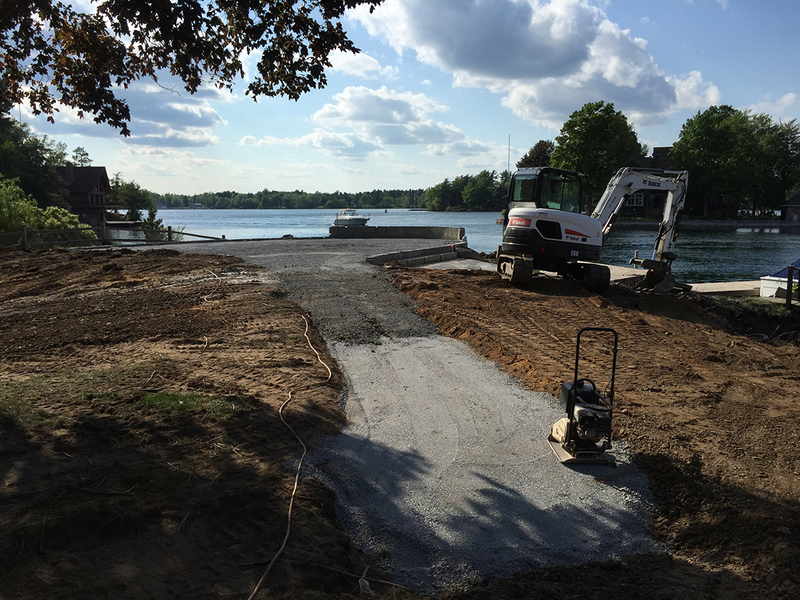 Concrete is all poured and leveled. Now it's time for the stone veneer to start going dow. Stone Veneer is Going Down! The concrete pad is poured and the flagstone veneer starts to go down. 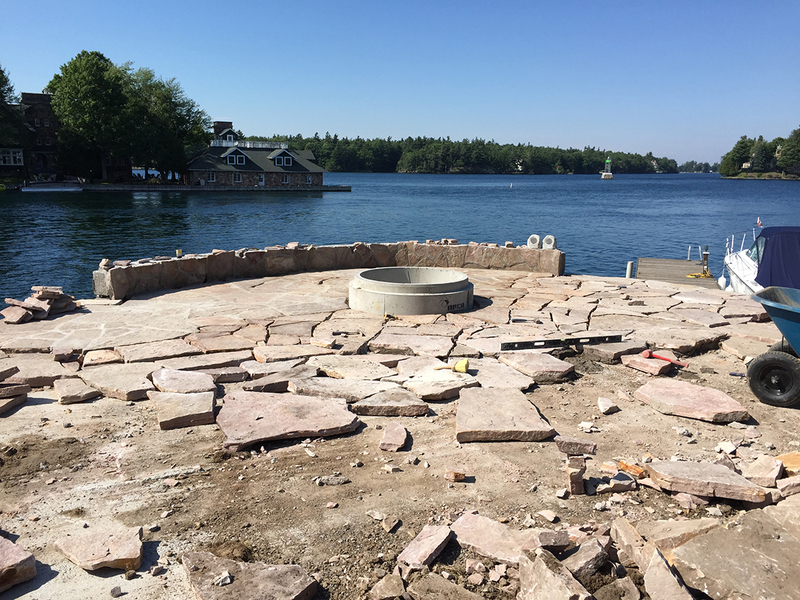 The form for a gas fire pit is also set, and stone veneer is added to the sitting wall. 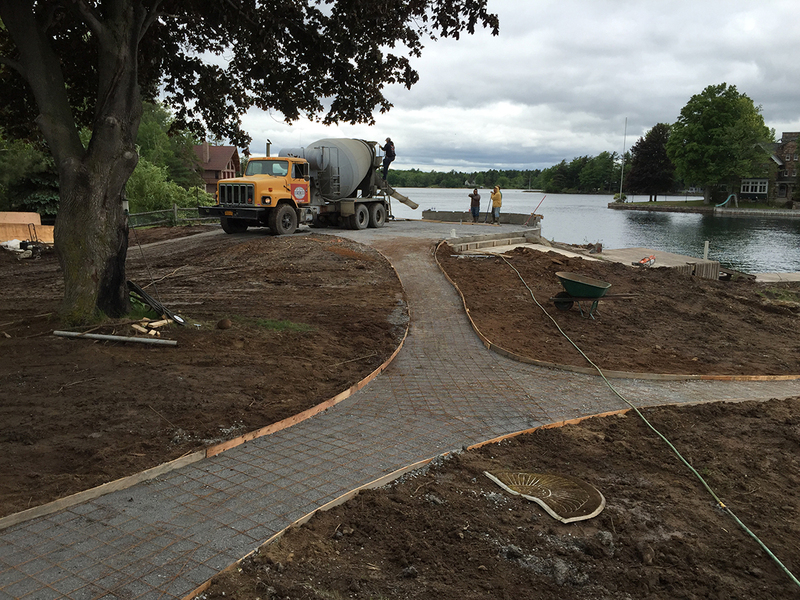 With stonework nearly complete, the crew installs an underground sprinkler system and grades out topsoil getting ready for grass. 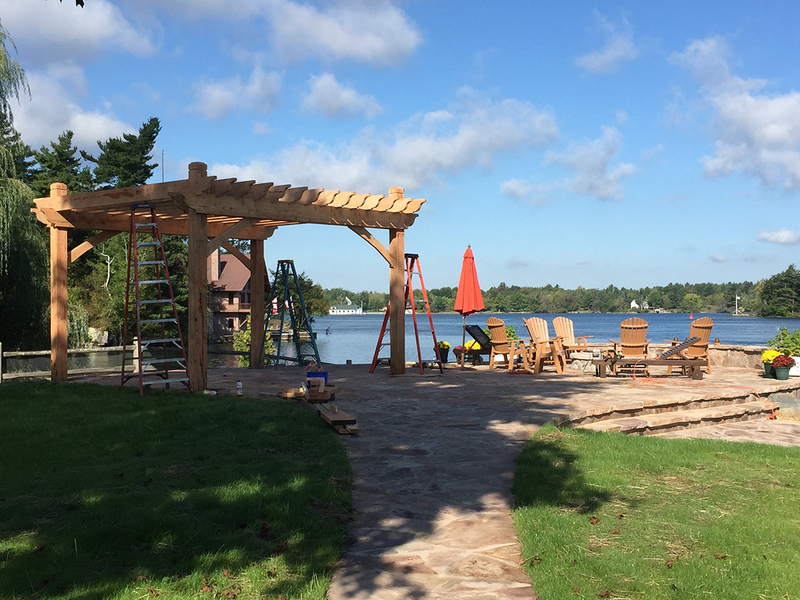 Stone work is now completed and the crew begins building a massive pergola of European larch, which will offer a bit of shade to the patio on those hot summer afternoons. 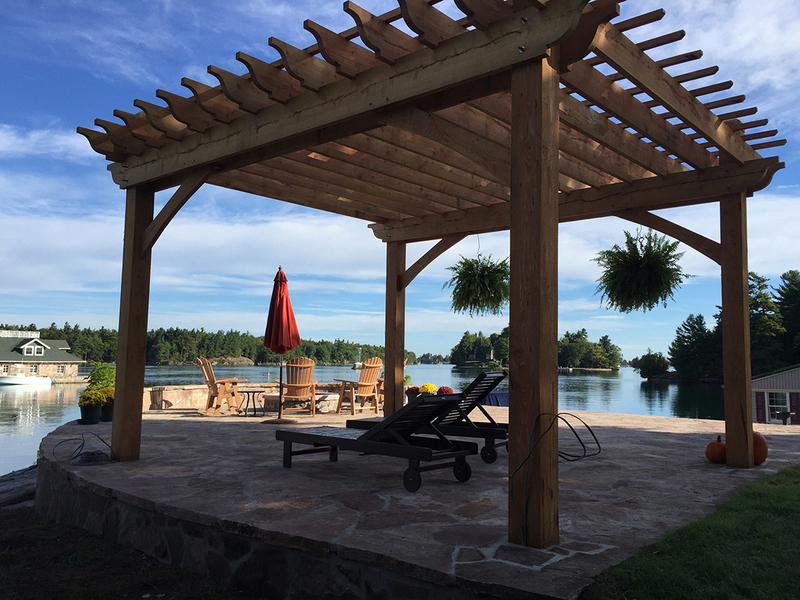 With the stonework and pergola completed, it's time to relax and enjoy the majestic views of the St. Lawrence River. Time to take in a beautiful fall sunset by the warmth of the fire. The homeowners were looking to utilize the great view they had from the river side of their property . With the rolling undulations in the rock we needed to pour concrete walls to allow for a smooth level area to house a patio. 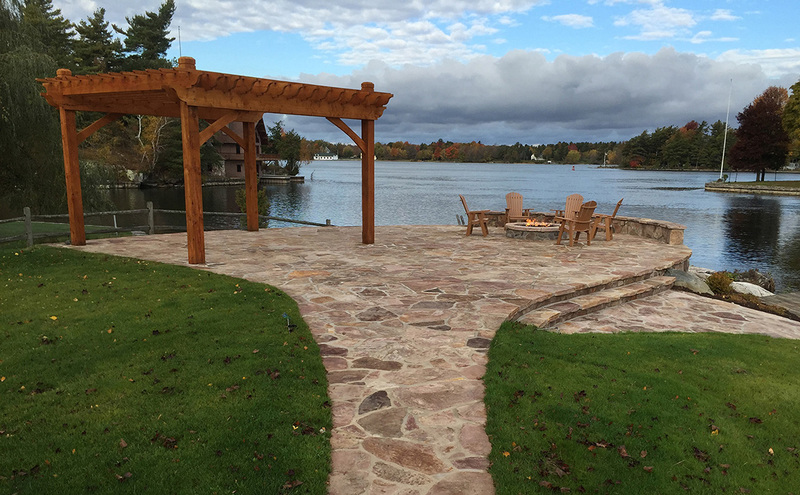 After many tons of concrete and flagstone and hard work, the project turned out great and blends in very nicely with the surrounding environment. All new gardens around the house consisting of a variety of hydrangeas. An underground sprinkler system throughout the property, lawn and gardens. A set of natural stone steps leading from the lawn down into a sandy area along the shoreline.